If you haven’t noticed, Frozen has taken over and it doesn’t appear to be going anywhere anytime soon. My girls are OBSESSED, and of course want to dress as their favorite character from the movie, Elsa. I purchased an Elsa dress from Amazon just before Christmas to give to my little one as a gift. I had know idea (well actually, I should’ve had an idea when all three of my kids saw an advanced screening of the movie and sat in awe the entire film) how it was going to explode or trust me, I would’ve been prepared and ordered a dress for my oldest daughter also. Now, the Elsa costumes are simply IMPOSSIBLE to find. Unless, of course, you are willing to pay $200-$400 dollars to purchase one off of amazon or ebay. I am not. 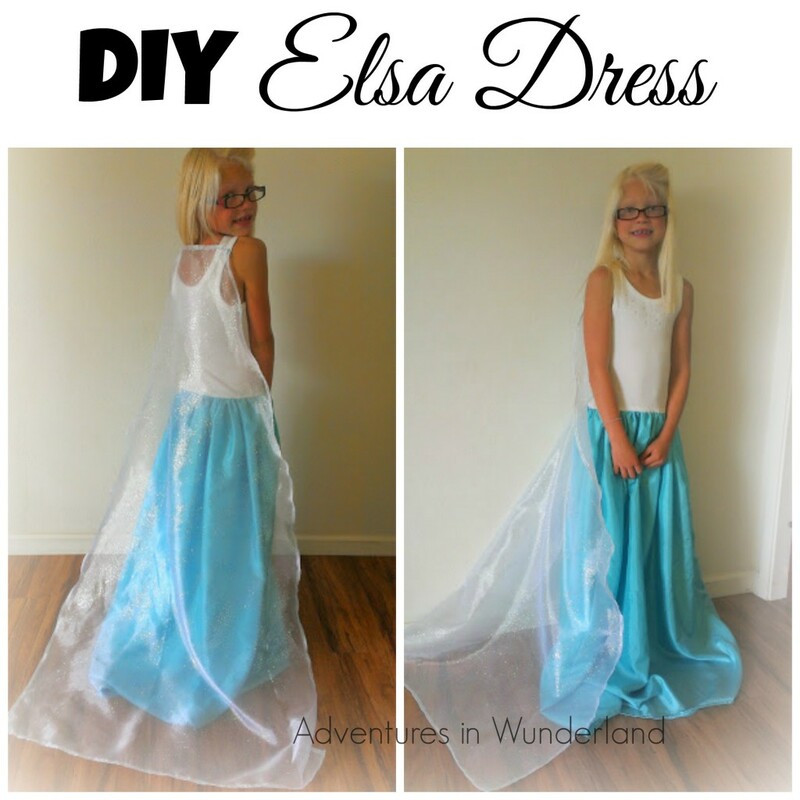 So, I did the next best thing and created an Elsa costume that was perfect for my 8 yr old. With skirt turned inside out, place tank top right side out into skirt, upside down, so the edges are even. Pin skirt to tank and sew together along edges. Turn entire dress right side out. You know have the dress. 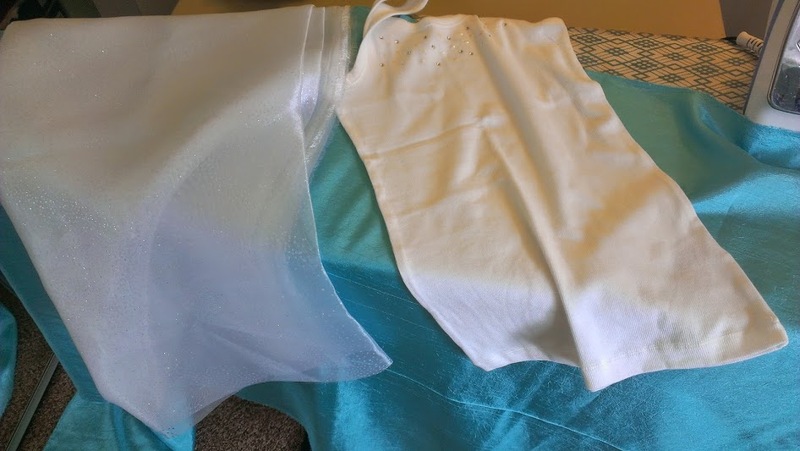 Cut sheer fabric, long wise, so that it is in the shape of an “A”, taking just a little off of each top corner. Hem all edges of sheer fabric. Sew sheer fabric to tank at top back straps. That is it! This process took me about 30 minutes, start to finish. Thank you for sharing this. Very adorable. I cannot afford an Elsa costume, but my daughter is just as pleased to have this one. :-) Thank you! Oh I just leave hearing that!! So happy she likes it!